Joan was born in Cheshire but the family moved to Welford in Northamptonshire when she was 7. She always wanted to teach so after gaining a B.Sc. in Geography from Nottingham University and a Dip.Ed. from Oxford University she appointed to the staff of the School of St. Helen & St. Katharine in Abingdon, Oxfordshire to teach 11-18 year old girls. She intended to stay for about 3 years but, for a whole variety of reasons including becoming Head of Department and having the responsibility of University applications she stayed for 23 years, leaving to marry David and to become a farmer’s wife in Frolesworth. 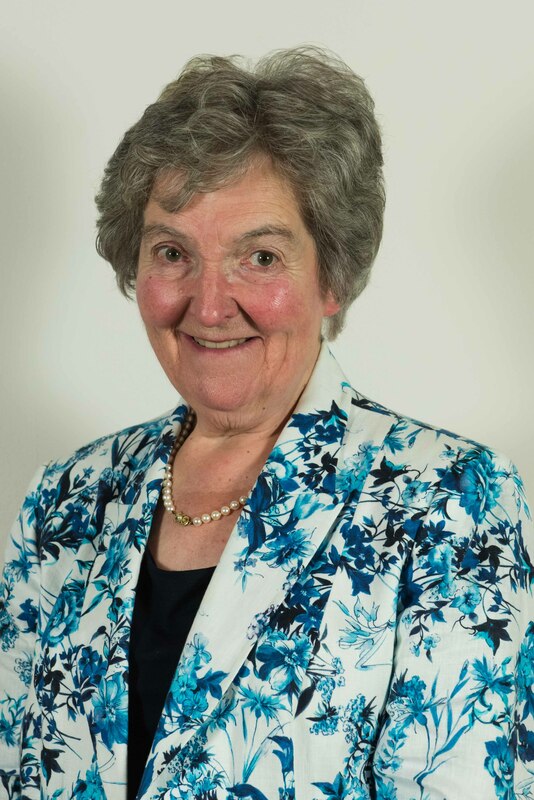 She soon became involved in village life organising social and fundraising events including a monthly coffee morning, she plays the church organ, is co-ordinator of Frolesworth Fanfare, the parish monthly newsletter, and for 16 years was chairman of the Parish Meeting. For 8 years Joan has been secretary to The Friends of Leicester Cathedral and has been a Welcomer at Leicester Cathedral since 2013, following the confirmation that it was Richard 111 who had been found under the car park. In 1986 she joined the Leicester Branch of the Geographical Association and was an active member until its closure 10 years ago. In 1986 also she joined the Lit & Phil after a chance conversation with Philip Goodwin, the Lit & Phil Treasurer at that time, at a National Trust Meeting. 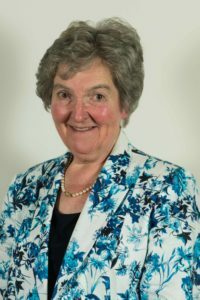 Since 1996 she has looked after the refreshments and from 2007, at the end of David’s year as President, she and David have been joint membership secretaries.